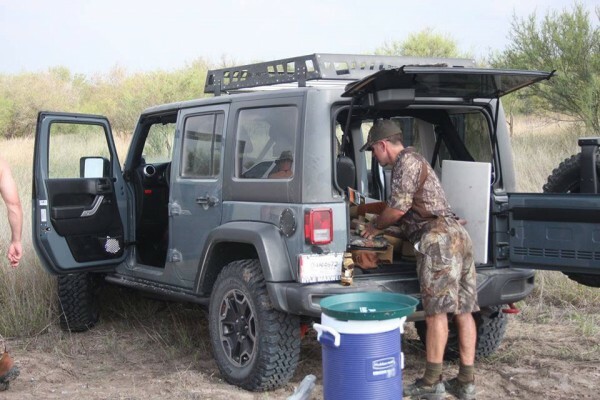 The Rubicon Series Cargo Rack was designed specifically around the Full-size Truck, Full-Size SUV, Jeep Wrangler JK model, and Full-size truck camper shells or roofs. We designed our system to be the Strongest, Lightest, most Versatile roof cargo system on the market. Take the versatility of platform style rack and combine it with our Patent Pending modular basket design and you have a new breed with the best of both worlds. Keep your gear safe and secure! Use our built tie-down hook slots to strap down almost any object for your adventure. LED light bar ready! Choose your front and rear light configuration by selecting our reversible panels. Customize your rack with the lights you want. The Rubicon Series cargo rack has 17 available crossbar locations! (5 crossbars are included.) Purchase additional cross bars to increase load capacity or accessory mounting options. 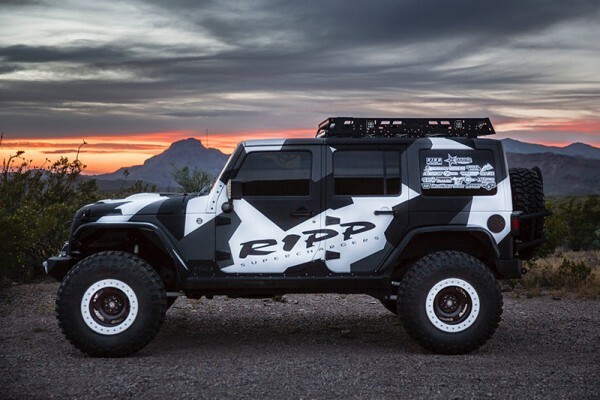 SIZED specifically for any Full-size truck, SUV, Jeep Wrangler JK, and Full-size truck Camper Shells or roofs. (also Universal Fit applications). Dimensions: 47” width, 72” length, 5.75” Height. Engineered and Tested aluminum construction. Precision Cut & formed for the highest quality fitment. Stainless Steel and Zinc matched fasteners for long lasting quality and no galling. PEM-nut inserts for all adjoining components for easy assembly. Weight capacity, 600lbs Static (vehicle not moving) 300lbs Dynamic (vehicle moving). Built-in Tie-down hook slots. Look for these on: Side Rail Front and rear lower corners and top. 23 available Crossbar locations. (Add more or move change your cross bars to suit your needs). Bolt-in Side Rail light tabs. Bolt-in Side Rail gussets for added strength and rigidity. Yakima and Thule Compatible. 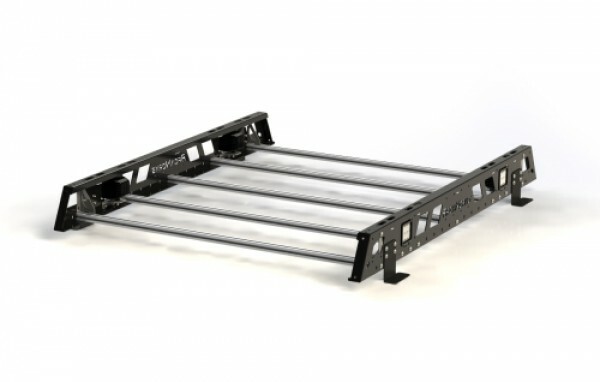 Use your favorite watersport, snow/ski, bike, and storage accessories with your Rubicon Series Rack. Vehicle Roof or Bed mounts required. (2) Part# 1159. Side Rails, Side Rail (SR). 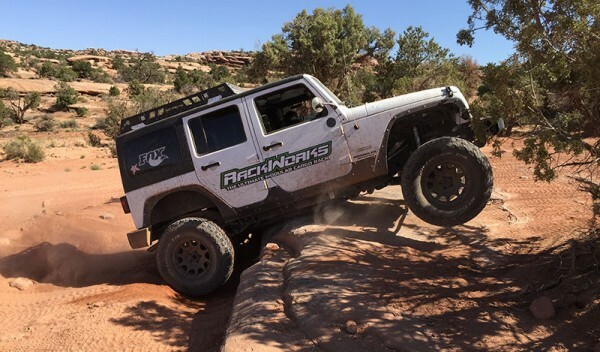 This part is the Left and Right side for the Rubicon Series roof rack. Item sold in Rubicon Standard Part#1900 and Rubicon Eco Kit Part# 1901. CNC cut, formed, and precision (TIG) welded. Overall dimensions 72″x5.75″x1.75″. 5.5lbs. (4) Part# 1604. Side Rail light tabs. These tabs mount to inside of our SR’s. Mount is for stud style 3″ cube LED Light. For use with Part# 1900 and Part# 1901. Black Zinc finish. Hardware included. (4) Part# 1804. Side Rail (SR) Gusset. This part is used to attach the Side Rail to the Cross Bar. Precision cut and formed. Steel Alloy. Black Zinc finish. Hardware included. Part# 1500. Blank End Panel (EP). All End Panels are reversible, mount to front or rear of roof rack. CNC cut and formed. Item is sold individually or in Part# 1900 or added to Part# 1901. Hardware Included. Part# 1502. (2) 3” square LED light cut out End Panel (EP). All End Panels are reversible, mount to front or rear of roof rack. CNC cut and formed. Item is sold individually or in Part# 1900 or added to Part# 1901. Sized for standard 3” square LED light, mounts using slotted hole for adjustment. Lights NOT included. Use stud style mounting when choosing your led lights. Hardware Included. Part# 1506. (6) 3” square LED Light cut out End Panel (EP). All End Panels are reversible, mount to front or rear of roof rack. CNC cut and formed. Item is sold individually or in Part# 1900 or added to Part# 1901. Sized for standard 3” square LED light, mounts using slotted hole for adjustment. Lights NOT included. Use stud style mounting when choosing your led lights. Hardware Included. Part# 1510. (2) 3” square LED light and (2) 10” Light cut out End Panel (EP). All End Panels are reversible, mount to front or rear of roof rack. CNC cut and formed. Item is sold individually or in Part# 1900 or added to Part# 1901. . Sized for standard 3” square LED light, mounts using slotted hole for adjustment. Light bar mounting width (11.25” mounting width). Lights NOT included. Use stud style mounting when choosing your led lights. Hardware Included. Part# 1530. (2) 3” square LED light and (1) 30” Light cut out End Panel (EP). All End Panels are reversible, mount to front or rear of roof rack. CNC cut and formed. Item is sold individually or in Part# 1900 or added to Part# 1901. . Sized for standard 3” square LED light, mounts using slotted hole for adjustment. Light bar mounting width ( 31.25” mounting width). Lights NOT included. Use stud style mounting when choosing your led lights. Hardware Included. Part# 1540. 40″ End Panel (EP). All End Panels are reversible, mount to front or rear of roof rack. Precision cut and formed. Item is sold individually or in Part# 1900 or added to Part# 1901. Lights NOT included. Adjustable LED light bar tabs. Light bar mounting width (41¼” to 41½”) Hardware and mounting brackets Included. Roof mounts or mounting brackets not included. LED lights and light-bars not included. Do not exceed the weight limit of your vehicle’s Factory Bare roof, Roof Rail, Roof Track or Crossbars.